Despite having two Super Bowl championships under his belt, there is no denying that Eli Manning is approaching washed status. 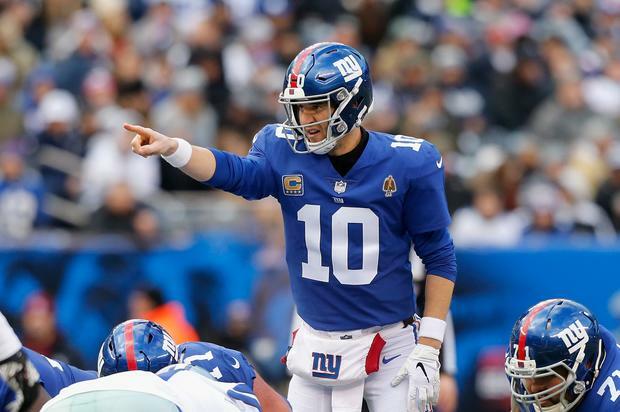 It may be blasphemous to say but over the past few years, the Giants have regressed as a franchise and Eli has been struggling to string together multiple wins in a row. Without Odell Beckham Jr., the Giants are going to be in for another tough season and some fans are already looking towards the next generation of Giants players. According to this latest report from ESPN, Manning is looking towards the future as well, saying he figures the Giants will draft a quarterback in this year’s draft. Head coach Pat Shurmur and general manager Dave Gettleman made it clear to Manning that he will be their starter next season. 2019 will be Eli’s final season under contract with the Giants but there doesn’t seem to be a rush to sign the aging QB. If you’re a Giants fan out there, what do you want the team to do with Eli? Is it time for a new quarterback?